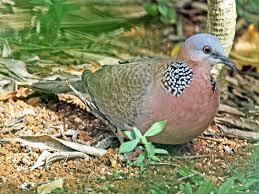 On Sunday I noticed one of these (a Grey Butcher Bird) killing one of these (an Indian Spotted Dove) as I emerged from my shift at the Yinnar General Store. 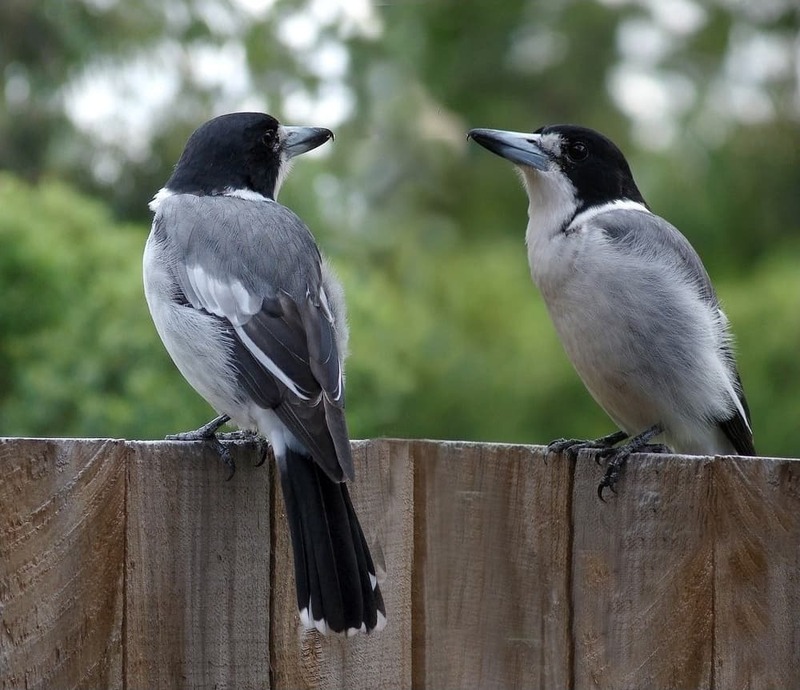 The former are fearsome predators of small birds and other critters, often impaling their carcasses on branches, etc in order to devour them later, but this one had taken on a young bird (no adult plumage) which was even larger than itself. There is no doubt in my mind he would have succeeded in making it quite dead though, so I quickly slipped it in my pocket and brought it home for Della. It seems to have made a complete recovery and is living happily in her quail cage.